content on one page and the navigation will scroll directly to the according page section. Like a complete website, with all information on one page. 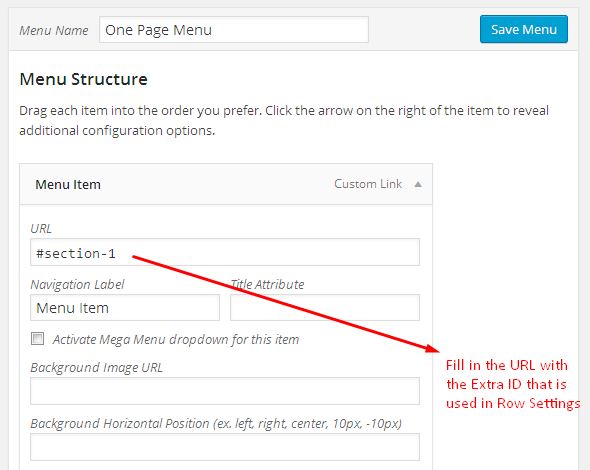 Generating the page is simple as is the custom menu construction. Step 1 – Navigate to Pages > Add New and fill in the page title. 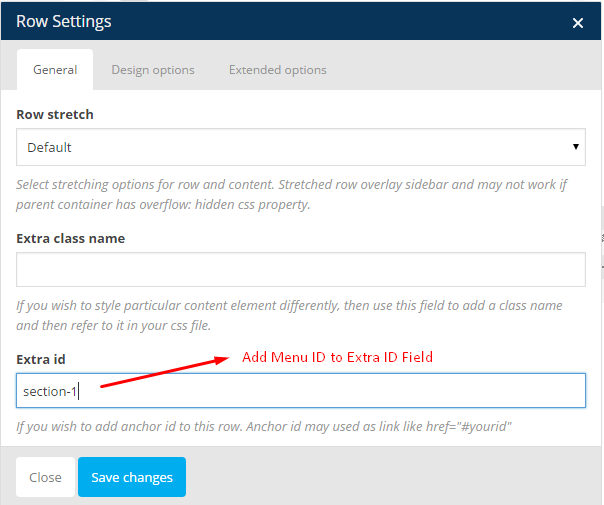 Step 2 – Add Row Visual Composer Element and fill the row with Content. Step 4 – Save Row and Page. Step 1 – Navigate to Appearance > Menus and click Create a New Menu. Step 3 – Drag and reorder these generated menu items, add icons to the items until you get the desired navigation layout. Save the Menu. Step 4 – Scroll down the menu editor and check Top Navigation check box.